It’s an understandable mistake if you think the so-called “great white continent” of Antarctica is white. True, the mountains blanketed with snow and vast icy plateaus are white – so blindingly white you squint even with Ray-Bans. But the icebergs? Those are blue. In “Iceberg Alley” in the Weddell Sea, colossal tabular icebergs bigger than downtown buildings are luminescent in their blueness. 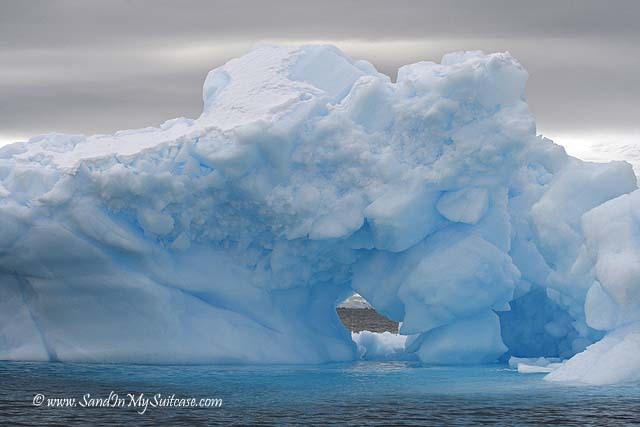 There are smaller ice sculptures too, in every imaginable shape and limitless blue hues. Baby blue mushrooms and royal blue lotus flowers and popsicle blue mermaids. These icebergs look like mushroom caps, or maybe snow cones? Perhaps shaped like blue popcorn? 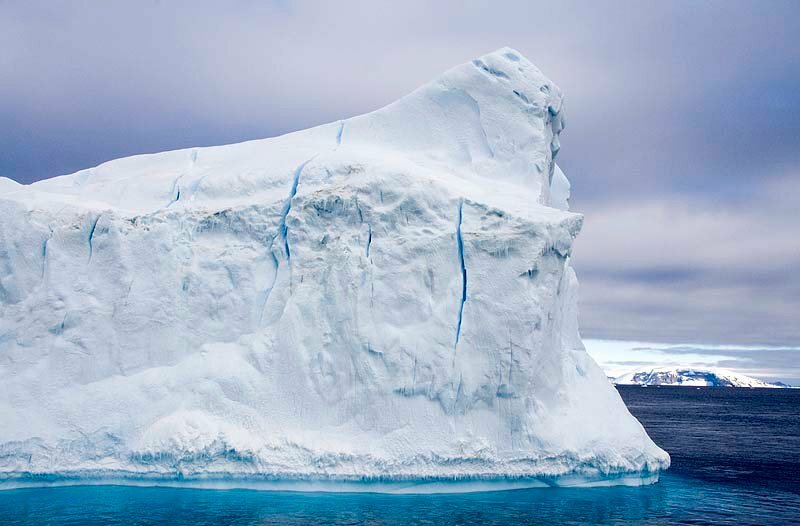 Even when day turns to dusk and everything else is grey and silver, the bergs still glow with blue light. 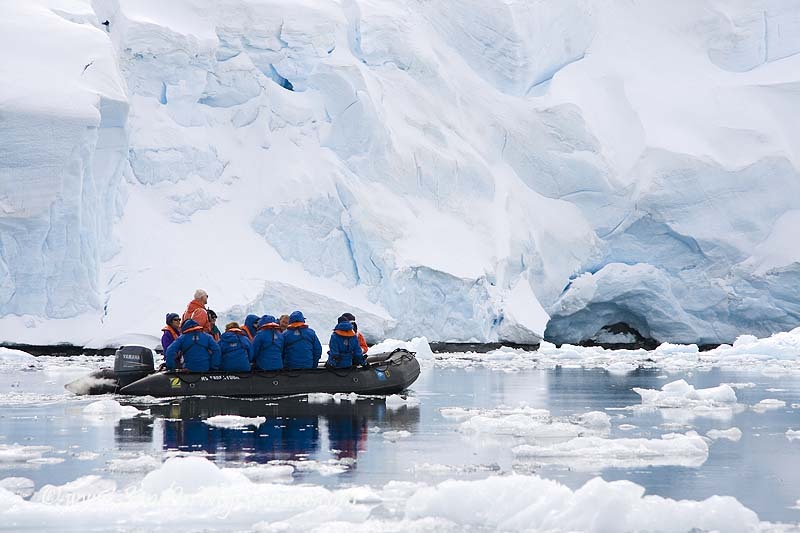 Antarctica is often the last continent adventurous travelers visit. They go to see not only these amazing icebergs but also peppy penguins galore, breaching whales, seals and the vast, vast icy wilderness. It requires a commitment in terms of time and stoicism. 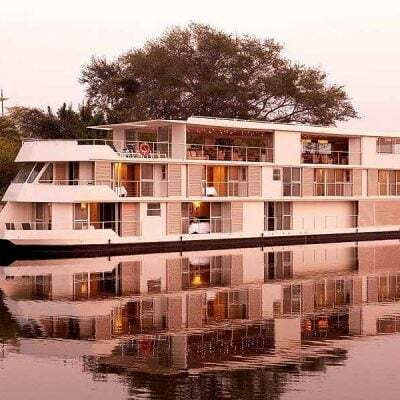 Most expedition cruises journey at least 11 nights. It takes four days from the tip of Argentina just to get to the Antarctic peninsula and back; while crossing the infamously rough Drake Passage, we popped Dramamine like candy. 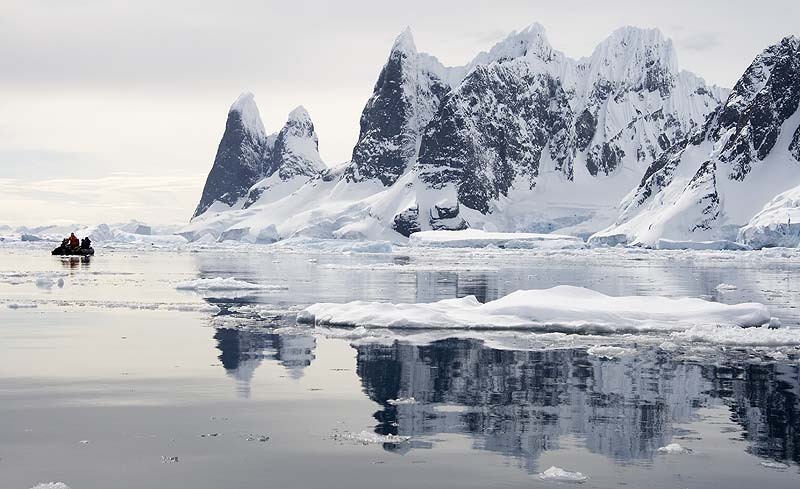 But once close to the Antarctic Circle, the ice-choked waters are calm and the magic unfolds. 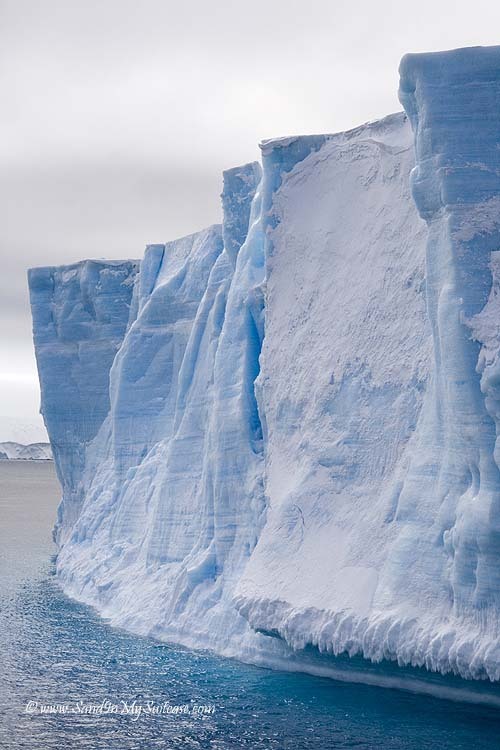 Did you know Antarctica is so blue? 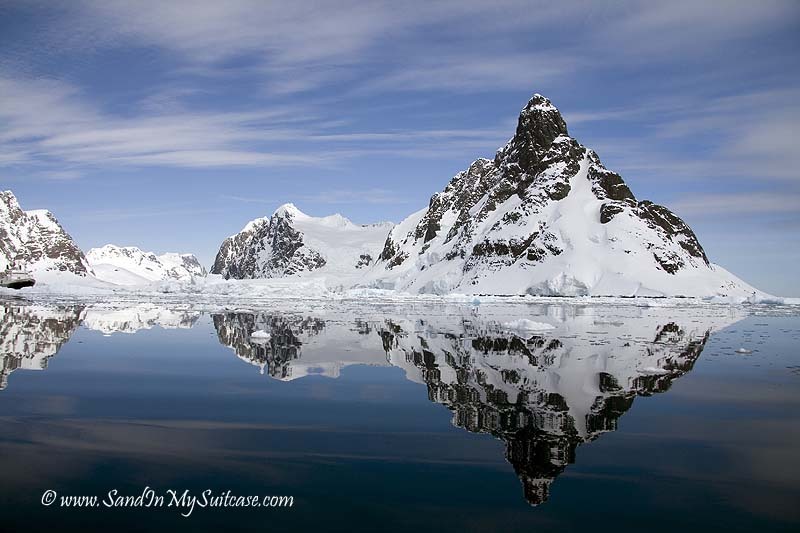 This is a destination very high on my bucket list, I am so intrigued with Antarctica! Your photography is beautiful and really captures the blue of the ice. Do plan a trip! It’s so worth it :-). 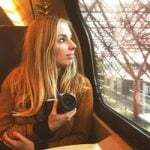 My husband and I will be cruising to Antarctica in January, and I was happy to discover your lovely posts and photography! 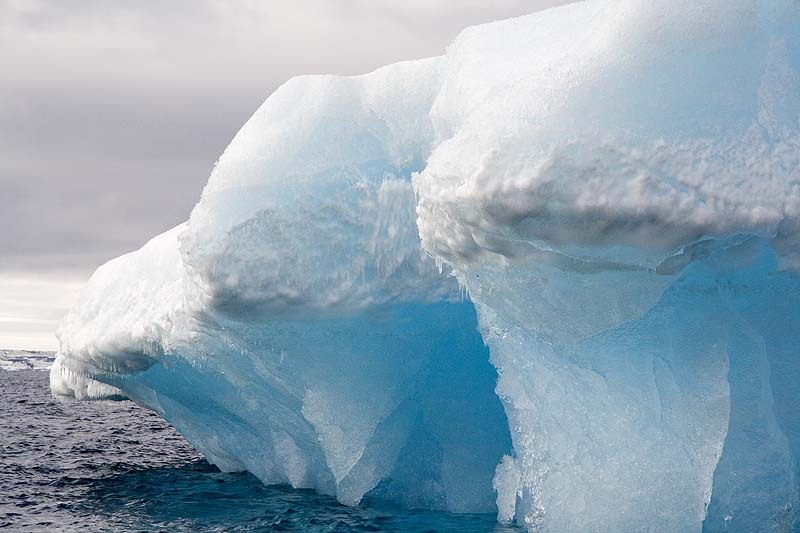 Your blue & white iceberg photos remind me of looking for recognizable shapes in a cloud-filled sky. I can’t begin to imagine what it will be like to see such splendor in person! How lucky you and your husband are! 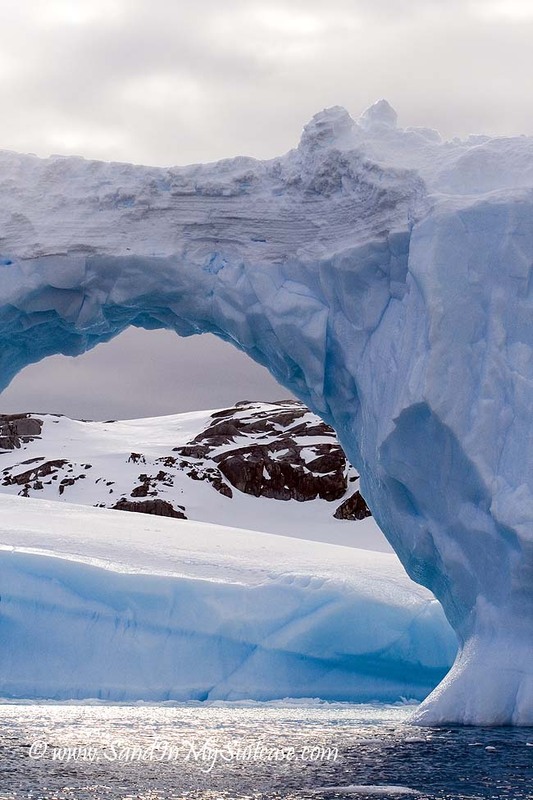 You’ll love Antarctica — it really is a very special place and the journey a once-in-a-lifetime experience. Enjoy! Wow amazing photos and post!! Beautiful photos! What an amazing experience to go to Antarctica. Everyone looks so bundled up, it must have been so nice to go out and get back to a warm place after seeing such amazing sites and animals. Gosh!!! The place looks fantastic. Didn’t know it was so blue. Beautiful and so peaceful. Brilliant captures. Beautiful photos!! This takes me back to my own adventure there in 2012/13 and I remember also thinking how the “great white continent” was actually more like a landscape painting of blue and white hues. You’ve captured it beautifully with these photos. I am returning again later this year and am just ridiculously excited!!! Aren’t you a lucky girl to be returning there! 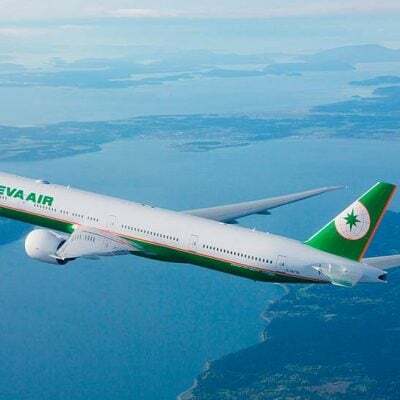 You have a great trip – and we look forward to seeing your photos too :-). Getting here is like my dream come true. The scenery is just way too stunning to describe it with words. AMAZING! “It requires a commitment in terms of time and stoicism.” And cash! 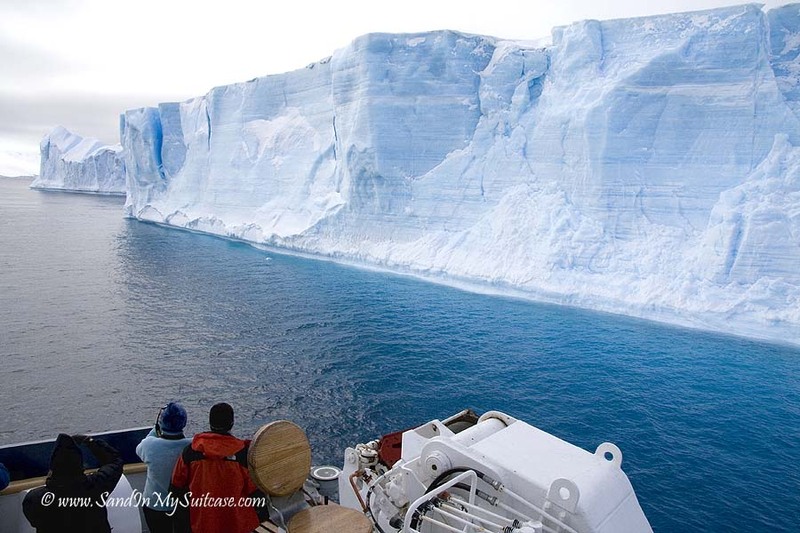 Still haven’t made plans to visit Antarctica – I’ll get there eventually! Gorgeous photos! I’ve seen pics before but didn’t realize Antarctica was so blue. What stunning photos Janice! Antarctica is on my dream sheet! For us, though, we have to take extra time off from work…which is rarely easy. I want to go sooo bad. Are you going to post more about your experience, like what boat you chose and how you chose it? I think, similar to the Galapagos, that choice makes a huge difference. I would love to hear your thoughts.